The following story originally appeared on Hudson Valley Magazine's website. Artists can submit designs for a silver ‘coin’ to commemorate Albany's Sgt. Henry Johnson. 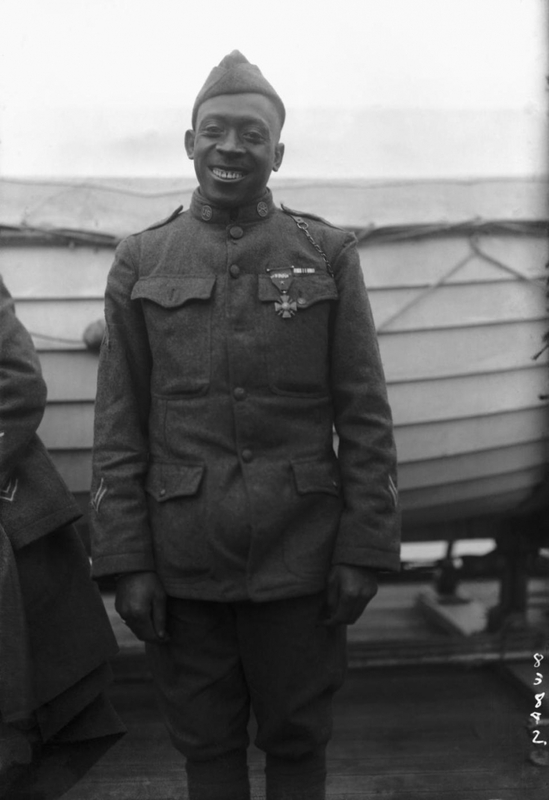 An Albany-based coin shop is offering $2,000 in prizes to artists who design a new medallion to honor African American World War I hero Sgt. Henry Johnson. The winners will also receive a medallion during Henry Johnson Day in June. Ferris Coin Co. is offering two prizes of $1,000 each to the winning designs for the front and back sides of a 1.5-inch (39 mm) coin-shaped silver medallion. The deadline for submissions is April 17. Sgt. Johnson was finally recognized by the United States government for his service to his country when he was posthumously awarded the Purple Heart in 1996 and the Distinguished Service Cross in 2002. In 2015 he was awarded the National Medal of Honor — the nation's highest military honor — by President Barack Obama. The submission deadline is April 17. Contestants must be 18 or older to qualify. For official rules, design requirements, and answers to frequently asked questions, visit: www.ferriscoin.com/henry-johnson. Send questions to contest@FerrisCoin.com. Entries will be evaluated by an expert jury composed of esteemed professional artists and a representative of the 369th Veteran's Association. On June 5, the City of Albany will celebrate its second annual Henry Johnson Day, marked by a ceremony that includes the bestowing of the Henry Johnson Award for Distinguished Community Service. The new medallion will be granted as part of the award, and Ferris Coin Co. will donate 10 silver medallions to be presented to the winners of the Henry Johnson Award for the next decade.